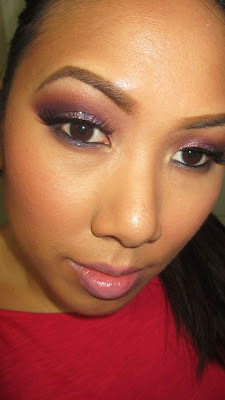 Home FOTD glitter Holiday purples TUTORIALS Updated with Tutorial: Mardis Gras Makeup - Dramatic Color and Glitter! 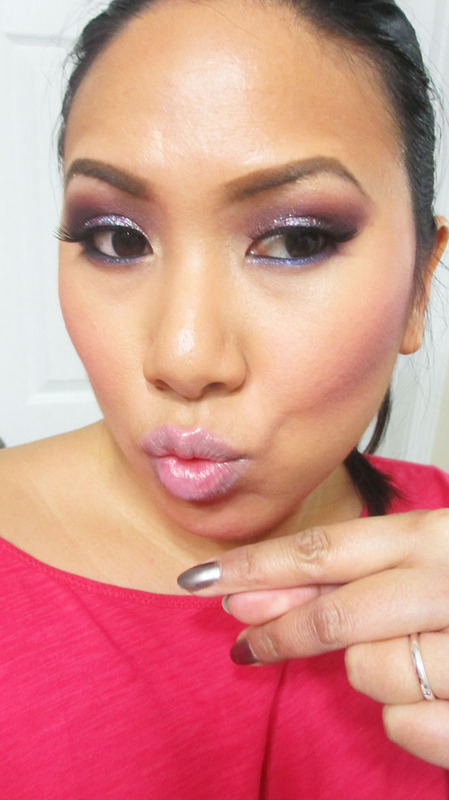 Updated with Tutorial: Mardis Gras Makeup - Dramatic Color and Glitter! Time for another tutorial! I was playing around was some purple pigment and then it developed into a really pretty purple look with specks and gold and green - perfect for Mardi Gras. For those of you who miss my dramatic, colorful Old School Ren tutorials, this ones for you! Check out the video (finally up as of 2/8/13)! The key to this look is the fun glitter. I'm totally obsessed with using glitter liner for some extra pizazz...except I don't use it as a liner. Instead, I paint on the little glitter particles in a dabbing motion for easy, no mess application. I definitely recommend the NYX Glitter liners - very affordable and comparable to high end brands. In this look you could also add a bit more green...I Think it would be cool to pop green on your lower lashline to make it a little more festive. The BF is from New Orleans and he thought there should be more obvious green and gold in the look but ehhh you get the point lol. Anyone celebrating Mardi Gras this year? I'll probably pick up a king cake from my local grocery store. But one day I'll make it to New Orleans! Love this look; the glitter is pretty. Your tutorial is so good. I like this so much. Your glitter is looks pretty good.